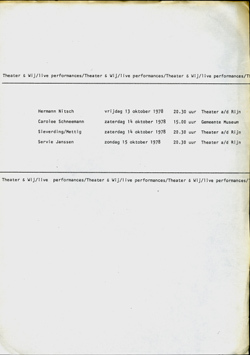 20,9 x 15 cm, SC, Moderna Museet Stockholm, texts by Olle Granath, Joan Simon, Dieter Koepplin and Richard Armstrong in English and Swedish, black and white ill. with two tipped in colour plates, added: 1 extra colour plate, 125 pp. 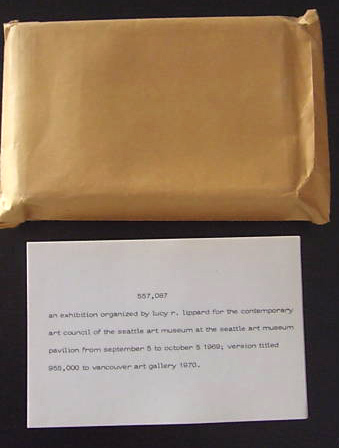 29,7 x 21 cm, copy as issued. Prices in DM. Fine copy. 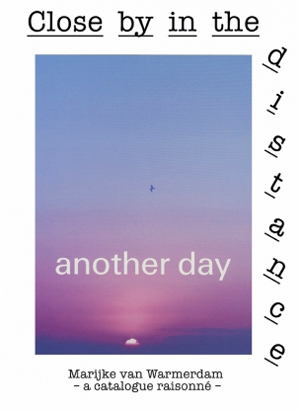 Marina Abramovic/Ulay, Vito Acconci, Afghanische Kriegsteppiche/Kelims, Curtis Andersen, Kenneth Anger, Clarence Anglin, Ant Farm, Stefano Arienti, John M Armleder, Art and Language, Art by Telephone, Richard Artschwager, Audio Arts Magazine and many other artists, 32 pp. 10 x 15 cm, 100 - 138 artist's cards, original brown envelope. Very fine copy. 29,7 x 21 cm, stencil, 5 sheets with attached message about change of directorship, very light scuffing on front sheet. 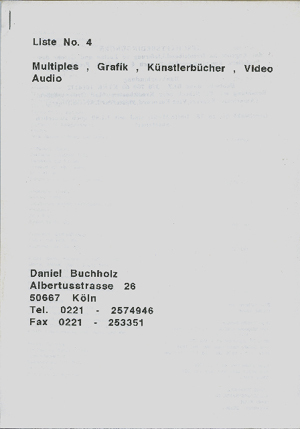 * Original price list of Ottenhausen Verlag in Aachen and Munich. 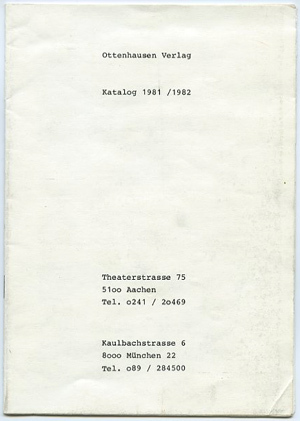 Wellknown German publisher of artist's books by Roberta Allen, Luciano Bartolini, Heinz Gappmayer, Roman Opalka, Giuseppe Spagnulo. 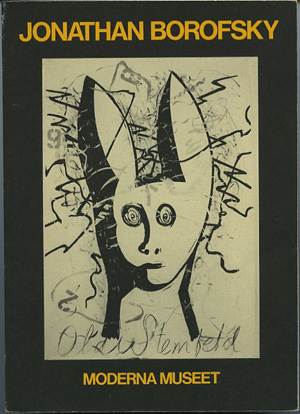 As stated in this price list Ottenhausen Verlag represented publishers like Beatrix Wilhelm Verlag, Edition Und, Multi Art Points in Amsterdam, Centre d'Art Contemporain in Geneva, Exit Edizioni in Luga/Ravenna, Tau/Ma publications in Bologna. Interesting data on many publications of these publishers. 14,8 x 10,5 cm, 8 postcards in cover, original celluloid envelope, pristine copy. 29,7 x 21 x 1,7 cm, facsimile of handwritten diary, catalogue for Biennale Venezia as artist's book. 1st edition. Very fine copy. 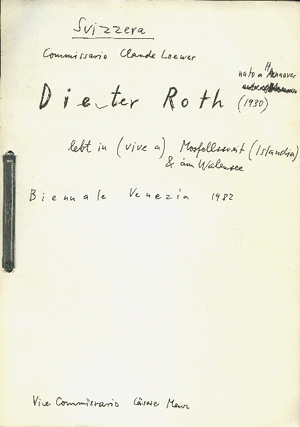 * A diary written as an "écriture automatique" in preparation of taking part in Biennale Venezia, 1982. 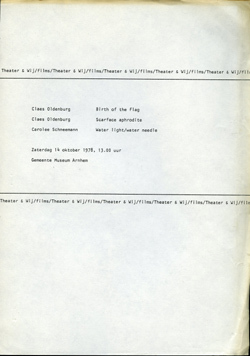 From 30 January 1982 - 10 May 1982 the artist reflects on what to show in Venice: 'Als ich eingeladen worden war von Schweiz Bundesambt für Kulturpflege (jetzt, 29.4. weis ich den Namen dieses Büros nicht mehr mit Gewissheit, bin zu träge - oder müde? 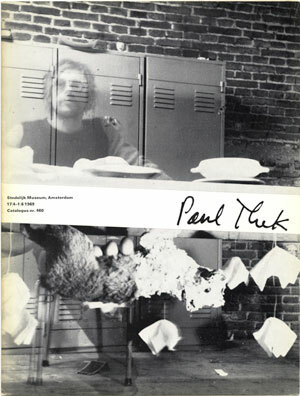 - aufzustehen um nachzusehen) da stellte ich mir zunächst Videoprojektoren vor, 40 - 50 Stück, mit denen wollte ich Episoden aus meiner Lebenszeit - von der Einladung an (Winter 1981) bis zur Eröffnung der Biennale in Venedig (10. Juni) geschehende - zeigen. Wir waren jedoch an ein Budget gebunden das nur Schmalfilme und die entsprechenden Projektoren erlaubte." 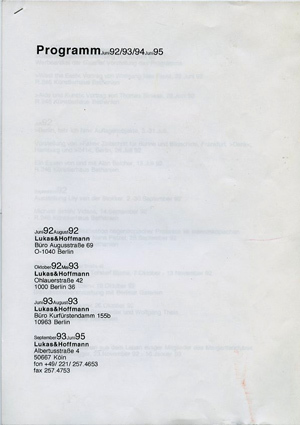 The 1st edition was sold out quickly and in 1984 a 2nd edition was photocopied in Basel. 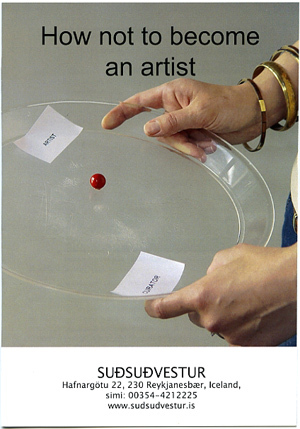 * Catalogue 'How not to become an artist' is published on behalf of a group exhibition in Sudsudvestur in Reykjanesbaer in Iceland and curated by Iris S. van Gelder. Participating artists: Karin Sander, Stefan Alber, Falke Pisano (special contribution), Karin Hasselberg, John M Armleder and Mai-Thu Perret (special contribution: insert). 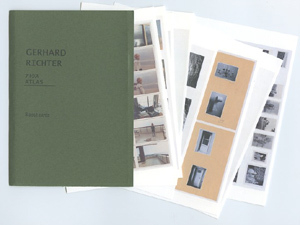 28 x 21 cm, SC, many colour plates, contributions by Maarten Doorman, Philippe-Alain Michaud, Fiona Bradley, Michaela Unterdörfer and annotations to each work by Kees van Gelder, English / Dutch, 247 pp. 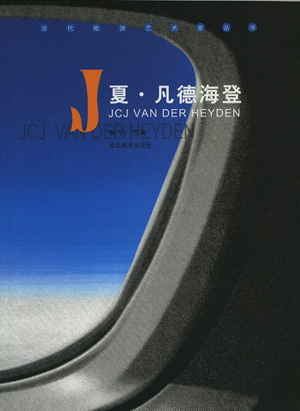 28,5 x 21 cm, SC, many colour photo plates, Chinese and English, introduction by Qin Jian and one text of the artist: 'From the big bang to the final snap', 52 pp.